For quite some time I try, through my website and via personal conversations, to make people aware about the existence of Linux and the Open Source world. 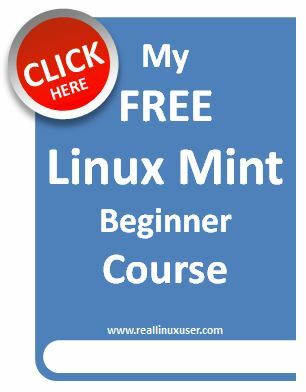 To get people a little more excited for the possibilities of Linux and Open Source Software, I try to give simple arguments and clear comparisons and try to make connections with the software that people use in their current non-linux and non-open source workflow. I have noticed that if I first try to listen to their current working methods and their reasons to use a certain type or brand of software, and then come up with alternatives that are close to what one is used to, it is more easy to make them listen and make them enthusiastic about the alternatives. 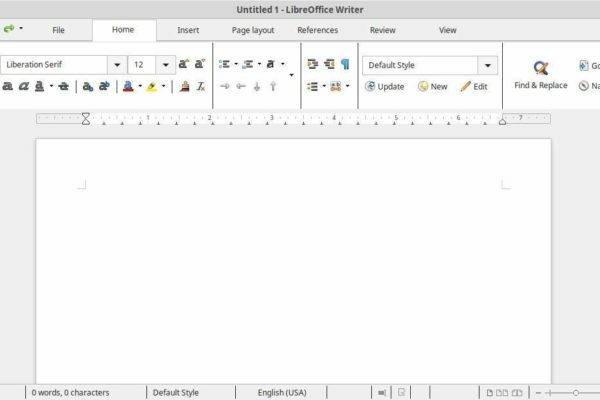 For example, I often hear that people like the Tabbed Ribbon interface in Microsoft Office and do not want to miss it. 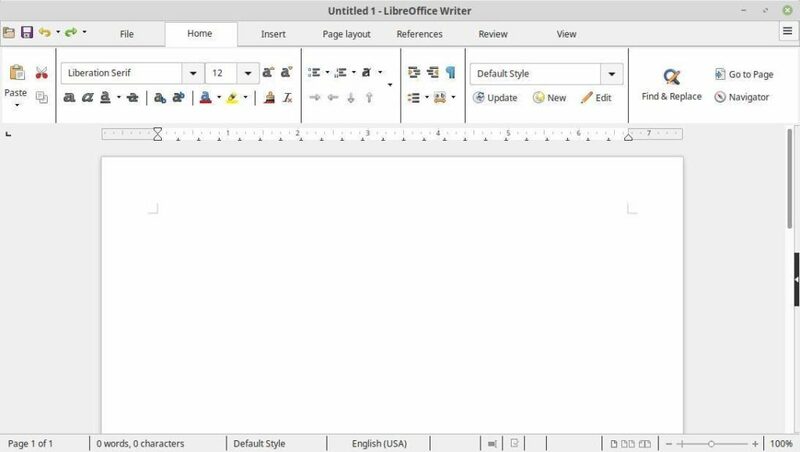 When I then say that this Ribbon interface can also be activated in LibreOffice, the conversation about a possible switch becomes a lot easier. Especially at the beginning of this switching process, recognisability, alignment with what one is accustomed and not want to make too big changes, is an important approach. That’s why I want to use this blog post how to enable the “Tabbed Ribbon” interface style in LibreOffice 6. A Ribbon is a User Interface style that already exists from the early 1990s in software packages such as Microsoft Word as an alternative term for the classic text based toolbar. The initial ribbon style was based on functional buttons and drop-down lists. 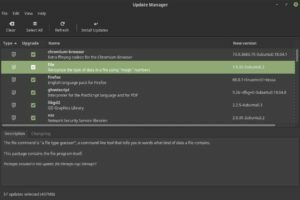 The idea back then was to replace the cumbersome process of using different commands to style your documents and make the workflow more visual. In the years following new ideas about user interface elements came up and with the release of Office 2007 Microsoft came with the Fluent User Interface, which used among others the tabbed ribbon interface style. In this new UI style tabs where being used for different main functionality groups and within these focussed tabs different functional buttons and dropdowns are visible. 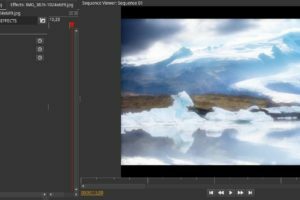 The advantage of this approach is the focussed way of displaying information and possibilities, allowing the user to focus on the specific task of that moment, without being distracted by less important elements. From LibreOffice 5.3, the tabbed ribbon functionality, called “Notebookbar” in LibreOffice, is available as experimental functionality. It is therefore not activated by default, because that is still the classic UI style. 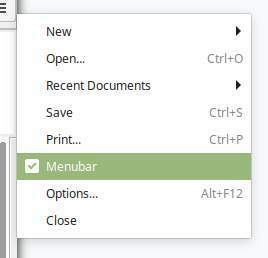 1) Open the Application Menu and search for LibreOffice. 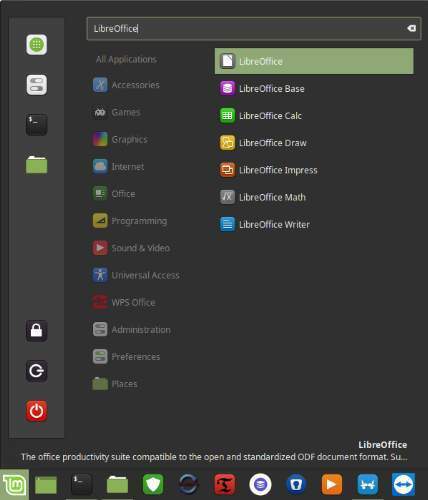 2) Click on LibreOffice to open the main application. 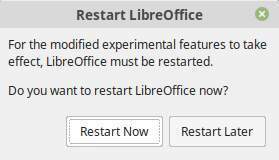 4) Select LibreOffice / Advanced. 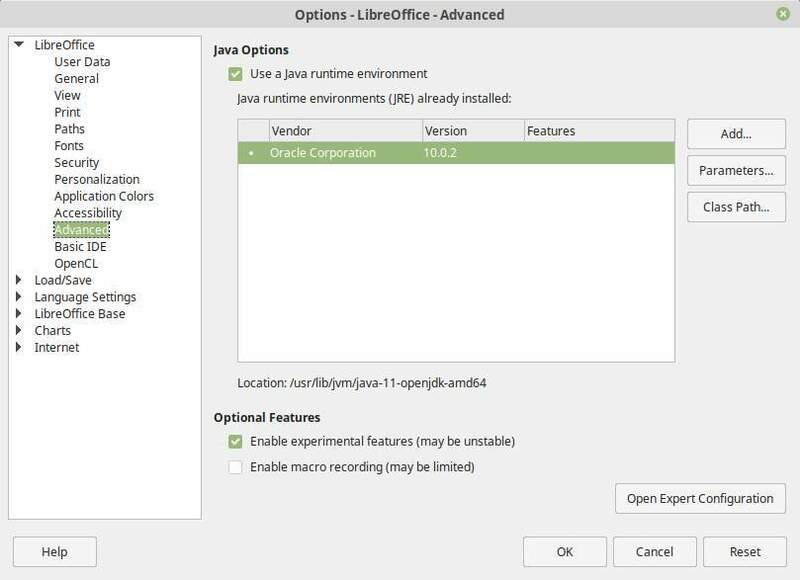 5) Activate the option “Enable experimental features”. 6) Click on OK to close the options window. 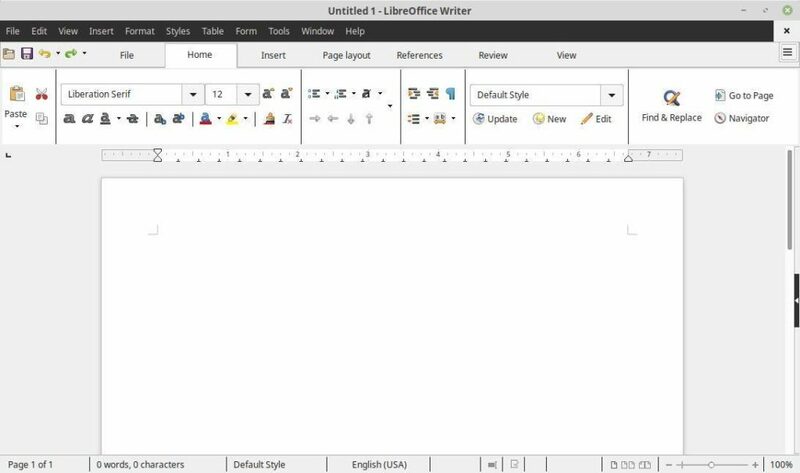 8) Start for example the LibreOffice Writer application. At this moment nothing has changed. The classic menu is still visible. 9) In the menu select View / Toolbar Layout. Now the UI will automatically switch to the tabbed ribbon style. What you will notice here is that in the classic situation there was of course the standard menu with for example the “Tools / Options” item and the option to switch back to the classic UI style, which is missing now. You can activate it by clicking on the “hamburger” menu button in the top right of your screen. 11) So click on the “hamburger” menu button in the top right of your screen. Now the menu bar will be presented as well. That was it. Have fun!